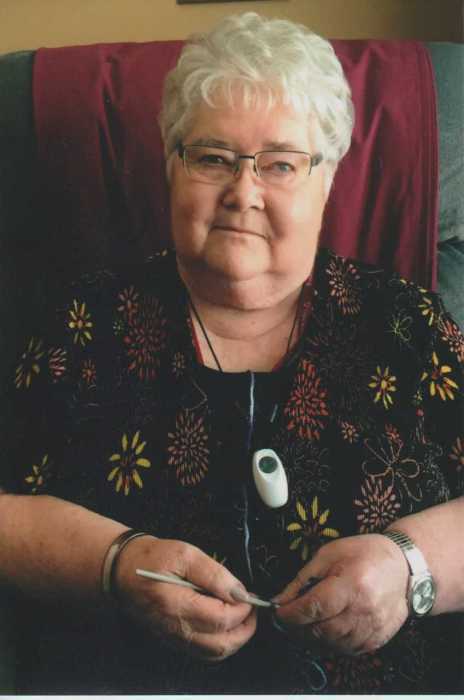 Jeannette Baker Cannady of Raymond, Alberta passed away at Raymond Long Term Care on November 19, 2018, at the age of 78 years. She is survived by her children, Laura Cottell of Calgary, Robert (Cheryl) Baker of Raymond, Randy (Sharon) Baker of Raymond, Tawna Baker (Owen Alcock) of Duncan, BC and daughter-in-law Cathy Baker of Strathmore as well as 16 grandchildren and 16 great grandchildren. She was predeceased by husband Rex, husband Keith, son Gregory, daughter Darla, her parents and two sisters. Jean was born March 21, 1940 in Taber, Alberta to Louis and Ethis Conrad. She was the third of seven children. Growing up she lived in many communities in BC and Alberta, eventually settling in Taber, where she met her husband Rex. Their life eventually led them to Raymond. There Jean held multiple jobs, none more important than providing for and raising her children. She enjoyed gardening, baking, making homemade chocolates and singing wherever possible with her family. Family and friends may meet the family at the Raymond Stake Centre, 2 N 200 W, Friday evening from 7:00-8:00 or Saturday morning 10:00-10:45. Funeral Services will be held at the Church of Jesus Christ of Latter-day Saints Raymond Stake Centre on Saturday, November 24, 2018 at 11:00 a.m. with Bishop Ryan Chipman officiating. Interment to follow at Temple Hill Cemetery.